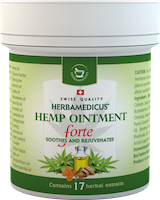 This unique Hemp ointment contains 30 % high-quality hemp oil and a balanced mixture of 17 herbal extracts. 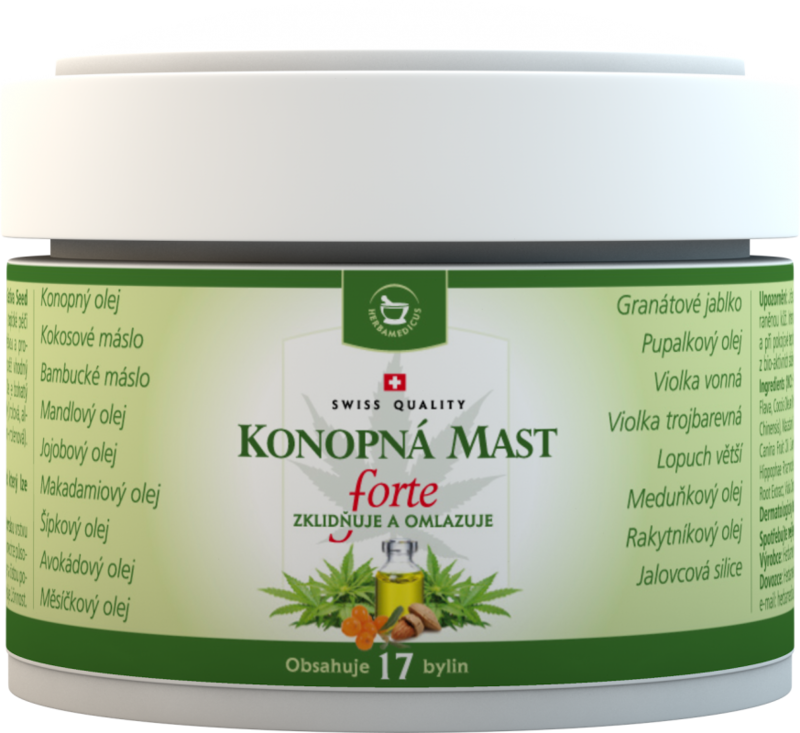 This ointment is suitable for intense treatment of dry, sensitive and irritated areas. 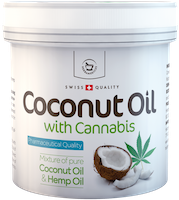 Hemp Oil (Cannabis Sativa Seed Oil) - Traditionally used for atopic care and treatment of psoriasis. 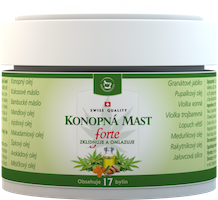 It provides care for itching and problematic skin. 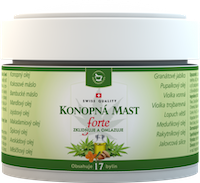 The oil is rich in unsaturated fatty acids (linoleic acid, alpha-linolenic acid and gamma-linolenic acid). It hydrates and regenerates skin. METHOD OF APPLICATION: Apply a sufficient quantity of the product and rub thoroughly. For maximum effect the procedure should be repeated several times a day. CAUTION: For external use. 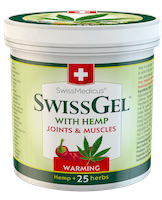 Avoid contact with eyes, mucous membranes and damaged skin. Intensely greases. Store in a dry place at room temperature, and keep out of the reach of children. An allergic reaction to the bio-active ingredients can occur in rare cases. 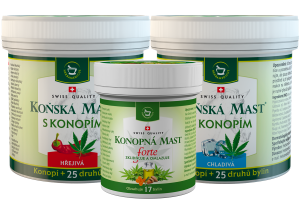 Hemp package - horse balsam with hemp warming, hemp cooling and hemp Forte.